Our fenomenal woman for August is Tessa Simpson, a 26-year old Gracie Humaitá brown belt who grew up in Guam, and now resides in Austin, Texas. She is the proof that if you work hard and are nice, amazing things will happen. She is definitely a champion on and off the mat. Everyone meet Tessa Simpson! Well, I would summarize myself as a well-rounded, and goal-oriented person. I work full-time as a web developer, and I just opened a kickboxing academy with my fiancée in December. I teach private lessons, I am a photographer, a step-mom, and spend the rest of my time training. I am very passionate about training, and I have the same drive for being an entrepreneur. 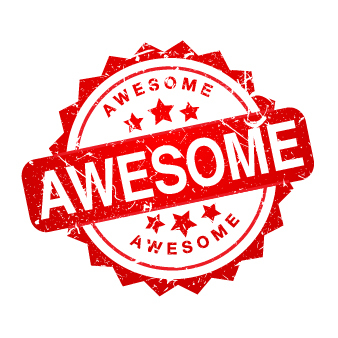 Being a business owner has been such a rewarding experience. I also find that owning a business is a lot like jiu-jitsu. It’s a constant learning and challenge, and I’ve discovered that I am really happy when I am being challenged. How did you get into BJJ and where do you train now? Growing up I was really close to my older brother, and usually tagged along with him. He started training jiu-jitsu, and I asked if I could try it as well. I really enjoyed it and started training consistently. This was 9 1/2 years ago, but after about 6 months of training, I tore my ACL playing basketball, so I had to take about a year off before getting back on the mat. Now I train at Gracie Humaitá Austin. I don’t get to go as often since starting up our own business, and it depends on what I’m training for at the time. I would like to go to BJJ 4-5 times a week. I do Muay Thai and boxing at my gym, as well as crossfit with Fortitude Fitness who shares our space. So in total, I train at least 5-6 days a week and squeeze most of it in back to back in the evenings. Did you do any other sports before BJJ? I really enjoyed playing sports growing up, and tried as many different sports as I could. I played basketball, volleyball, soccer, ran cross-country and 5K’s, and at the time I discovered jiu-jitsu, I was a competitive paddler in outrigger canoeing. I would go from paddling practice straight to BJJ. However, jiu-jitsu was the first martial art that I practiced. You grew up Guam, how did you end up in Austin? What are the biggest challenges for you? How do you manage to stay motivated to keep training? The biggest challenge for me is not having enough time to train and the ability to travel to bigger tournaments to compete. I don’t ever really think about quitting. I plan on training until I physically cannot train any more. I love jiu-jitsu for so many reasons, and even if I am not competing I would still train for fun. I keep myself motivated in training by setting either small or big goals, both short and long-term. Training for competition is one goal but it’s more about just getting better, and learning a little bit each time I train. The Worlds has definitely been my favorite tournament so far. I’ve wanted to compete at that level for so long but it was always difficult to make the trip to California. Being at the Worlds, alongside the best in the world was very inspiring. It’s funny getting a little star struck seeing people whose game you admire and study on YouTube, let alone warming up right next to them. Ultimately, having a big goal like winning the Worlds was a great motivator to train as much, and as hard as I could. I learned so much training for it, so it was still a win even though I didn’t bring home a medal. It’s hard to say what my favorite submission is. I like catching armbars from different positions. It was nice catching a toe-hold at the Worlds for the first time in competition. Women’s jiu-jitsu scene has changed dramatically in the past 4-5 years. What do you think of all the women’s open mats and camps? I think women only camps and seminars are a great way to open up opportunities for girls to learn, and seek knowledge outside of normal classes. You know you can go and get good technique, and hard training without the fear of getting hurt due to the size, and strength differences. It also opens up the opportunity for girls that may not want to compete to get to see where they stand among other women at the same level from other academies. It is an excellent way to help inspire those who just started training to stick with it. 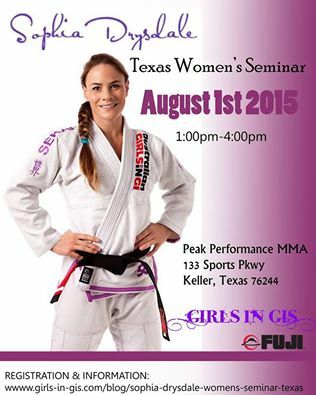 Texas is a great place for women’s jiu-jitsu, almost every month there is an open mat or a seminar with a world-class athlete. I admire Leticia Ribeiro for everything she has given to the sport, being a multiple time world champion, and creating women’s bjj camps, giving us the chance to train with her and other world champions. Tell us a little bit about your gym in Austin. What are your plans for the rest of 2013? We are called Austin Kickboxing Academy – AKATX and are located in East Austin, less than 10 minutes from downtown. We have a huge 6000 square feet warehouse that sits on about an acre of property, so there is plenty of parking and room for outdoor training. We offer Muay Thai Kickboxing, boxing and kids MMA. We also share some space with a crossfit program called Fortitude Fitness. We’ve been open little over 7 months, and have already built a great team and really positive atmosphere for training. We have people of all levels, including families who train together, people who have never trained any sports or martial art before, and both amateur and professional fighters for competition. At the end of June, four of our fighters competed in a local amateur MMA event called Belts of Honorious. Next we have fighters getting ready for MMA and boxing events in fall. I will be getting back in the cage in September as well. It has been four years since my last MMA fight, so I’m very excited to be back out there and test myself! I have not put too much thought into it as I’m more focused on getting better and becoming more of an active competitor again. I expect to be doing the same thing which is training, working, and competing when I can. I would love to teach jiu-jitsu someday but I know the opportunity will come at the right time if it were meant to happen. For now, I am focused on the learning process, and helping others when I can, even if it is on a smaller scale or indirectly through being an example of someone who works hard to achieve their goals, not only in training but also in life general. Sue Ausman and Tessa Simpson battling it out. These ladies have had many epic battles and are always fun to watch. Our fenomenal woman this month is Margaret Aase. Friends call her Magga, she a Norwegian professional MMA fighter and 2012 purple belt light weight world champion. She just celebrated her first professional MMA victory over Lina Eklund at the Rumble of the Kings in Sweden. Everyone meet Margaret Aase! You are a huge celebrity in Norway, tell us a little bit about yourself. How did you get started in BJJ and MMA? I’ve always trained a lot and been a competitor. I started training self-defense when I was 8 years old, by the time I was 14, I wanted to compete more and focused on soccer for couple of years. Soccer was fun but I missed the martial arts and decided to go into sport jujutsu, which is a mix between karate and judo, and became the junior world champion in 2007. Judo part of the training was always my favorite, in fact, I hated the ground game. So when I went to college in Oslo, I began training with the national judo team. Unfortunately soon after that I got sick with mononucleosis and had to stay off the mats. I didn’t really get into jiu-jitsu until I went to Leticia Ribeiro‘s seminar in Norway, in winter of 2010. I had gone to Brazil with a friend a year before the seminar for some training and relaxing but I got the BJJ bug after seeing the finesse of Leticia’s technique. I was so amazed at the possibility of being that good and it really motivated me. I began to understand the basics a little bit more, and now I feel that the more I learn, the more fun it is. BJJ opened the door for me to MMA. I was invited to audition for Norges Beste Fighter, which is Norwegian version of the Ultimate Fighter. I won my three fights and earned my first professional MMA contract. You spend a lot of time now in the San Diego. What’s your typical day here? Before tournaments and fights my schedule is a little bit different, depending on if I need to cut weight or not. Sundays are usually my rest days, but if I need to cut weight, I go for a run or do some drilling. You’ve traveled around the world thanks to BJJ and MMA. What is your favorite place? San Diego! It’s my home now, I love it. Rio de Janeiro is a beautiful place to visit but for girls who are serious about BJJ, nothing compares to training with Leticia Ribeiro and all the amazing Gracie Humaitá girls. And of course, Norway is a special place for me, I try to spend summers and Christmas time there. What do you like the most, BJJ, no-gi or MMA? BJJ for sure! It’s my heart. I like MMA as well, it gives me opportunities to make a living fighting. Both BJJ and MMA amaze me because it does not matter if you are young, old, short, tall, flexible, inflexible, skinny or chubby. You can make it your own sport where you make adjustments, make your own positions. There is no right or wrong as long as you have an answer as to why you are doing it, and both BJJ and MMA keep developing more and more. What is your favorite submission in BJJ and no-gi? My favorite submissions are bow and arrow choke and triangle. What are your most memorable matches so far? In MMA, in the final of Norway’s Best Fighter this year, I armbared the Muay Thai world champion Fatima Pinto. In BJJ my most memorable matches were the semi-final and final at the 2012 Worlds. I had all my coaches and team mates cheering for me like crazy. Felt so good to win! And as a bonus, three out of the four girls on the podium where from Gracie Humaitá team! My mom and Leticia Ribeiro! My mom is such a great lady, first she didn’t like MMA but when the Norwegian Best Fighter auditions started, she was the one pushing me to go. She even flew to Sweden to watch my first professional MMA fight! I wear a special patch on my gis to show the love for my mom. 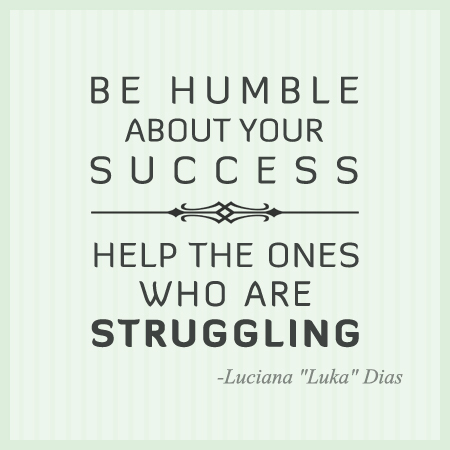 Leticia is my coach, mentor and idol. She believes in me, she’s taught me so much and made me a world champion! Without her I would not be where I am now. She is a great instructor and friend! You can follow Margaret’s adventures and training on her blog here and to watch her latest fight click here. Sweaty Betties is one of the oldest women’s Brazilian jiu-jitsu training groups that offers free training to the Bay area ladies. Sweaty Betties was founded in 2008, its home base is Gracie Jiu-Jitsu in Oakland, CA, and the group is open to anyone who wants to learn and have fun doing it. The group leader Mollii Khangsengsing sat down with us to talk about what Sweaty Betties is all about. First of all, what a cool name Sweaty Betties is! How did you come up with that? We wanted a name that is both catchy and reflects the essence of the group. We are passionate and serious about training but we are also playful, super silly, and we love to have fun! We feel that naming ourselves Sweaty Betties was appropriate. A Betty is a term used to describe a chick who is chill, self-confident and athletic, which originated in the surf and skate scene. Sweaty is an accurate description of us during training, plus we liked the rhyming sound of Sweaty Betty. In fact, our original name was Sweaty Betties, Hot `n Ready. The word hot has a double meaning: the heat beauty and the heat of the fight. We dropped the Hot `n Ready for simplicity purposes. Sweaty Betties recently celebrated its 4-year anniversary. Tell us a little bit how it all started. When I started training about 5 years ago, I was one of the two girls practicing BJJ at my academy. Being the smallest in terms of stature (I’m 4’11” and 90 lbs), I struggled both physically and psychologically, which was actually an unexpected element at the time. The physical challenge was tough but manageable. However, the psychological challenge took a toll after a while. In terms of the psychology behind being small and female, meant investigating not only strategies in fighting larger men but also investigating what it means to be a small female jiu-jitsu fighter. After the first year and a half I, I found myself at the crossroads of making a difficult decision, quitting or finding a solution to my size and gender situation. A friend suggested starting a support group of BJJ women. I started searching for avenues to make it happen and with the support of a handful of people, Sweaty Betties was born. The importance of connecting with like-minded and supportive community cannot be emphasized enough. Because of Sweaty Betties, I was able to turn my difficult situation into a love affair with BJJ. After three and a half years the love is still going strong! In 4 years our group has grown into a very diverse mix of ladies in terms of age, skill level, social, economic and educational background. Do all Sweaty Betties members compete? About half of the members compete on a regular basis. Each of us has our own connection to jiu-jitsu and competing is not a requirement. Many of us practice jiu-jitsu to improve overall health, learn self-defense, and increase self-awareness. Whatever the reason, we support each other. How do you keep ladies motivated to come back to train week after week? There are multiple factors that motivate us. Each class begins with a good strength and conditioning work out, followed by a quality curriculum taught by Vernie Inocencio, a charismatic black belt. Throughout the year we bring in special guest instructors like Judo specialists, wrestling coaches, yoga instructors, MMA fighters and more. Most importantly, what keeps us coming back is the overall environment. We make a conscious effort to create a safe, fun, friendly, and supportive place to train and hone one’s skills. This is all done for free (with a donation suggestion for the teacher)! Other motivating factors include visits to other academies and attending seminars as a group. We also have meetup groups for jiu-jitsu related “homework” such as specific training, strength and conditioning, jogging, etc. Do Sweaty Betties members do anything else together besides jiu-jitsu? Yes, one of the biggest components to our group is community building. Every year as a group, we celebrate our anniversary by doing something fun off the mat. It’s usually a day trip. For instance, last year we went to the Russian River, and this year we spent a day at Lake Tahoe by the Yuba River. These outings help us get to know each other on a more personal level, and create a strong community of female bjj practitioners. Did I mention that most Betties love to eat? Whenever we get a chance, we do it together! 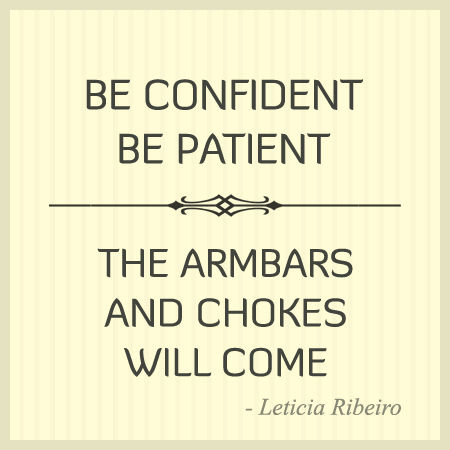 You are behind very successful Leticia Ribeiro camps in San Francisco and Los Angeles. Any other events in the works for this year and 2013? Leticia’s camp started in 2010 as a three-hour seminar. The event was so successful that the following year we added a 3-day camp in San Francisco. Since the first seminar, the number of attendees have steadily increased, and Los Angeles camp in May of 2012 had over 70 women attending from as far as Canada and Brazil. The success of Leticia’s camps is beyond anything I could have imagined! Now in its third installment, Sweaty Betties will host another Leticia Ribeiro Women’s Grappling Camp in December of this year in San Francisco. We are also exploring other projects, such as BJJ non-profit organization for youth and women, particularly those from under served and at risk communities. Finally, we are discussing the possibility of hosting an all-female competition at some point. Thanks Mollii and keep up the good work! Thank you Leia Asanuma for your contribution in editing! The Fenom Project Presents Leticia Ribeiro! It’s about that time again! We’re excited to announce the 2nd Fenom Project event of the year. 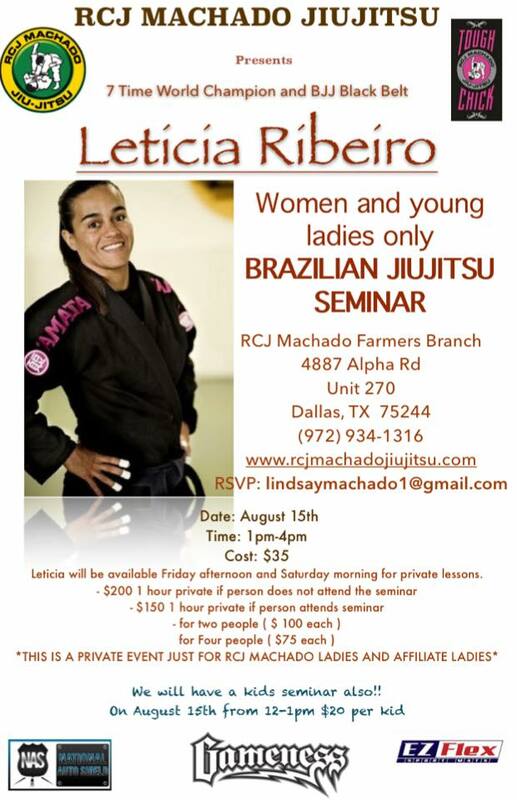 On Saturday, June 19th, 3rd degree black belt and multiple time world champion, Leticia Ribeiro will be at Marcelo Garcia of Dallas to teach a 3 hour seminar for women only. Space is limited so make sure to get your spot early. If you’re not in a financial position to make the entire payment now, we’re offering a payment plan which will allow you to reserve your spot. So there are no excuses! Contact us at info@fenomkimonos.com for more details or click on the PayPal button to register and pay.